Sydney, May 26, 2011 (Global Fashion Wire) - Iconic jewellery company Tiffany & Co ( NYSE:TIF) is the latest addition of supporters for the CFDA/Vogue Fashion Fund, entering into a 3 year partnership after donating $1 Million. Inclusive of the partnership, a grant of $250,000 will be awarded to one of nine jewellery designers who have been a CFDA/Vogue Fashion Fund finalist, to go towards the brands business development. The jewellery designers eligible to participate for the grant include; Eddie Borgo, Philip Crangi, Monique Pean, Subversive Jewelry, Dean Harris, Irene Nuwirth, House of Waris, Pamela Love and Anthony nak. The nine jewellery designers nominated for the prize, since the fund was established in 2004, have been sent applications to apply for the $250,000 grant. The applications which require; a portfolio, financial information and information on the brand, will be judged by Mr Kowalski, Anna Wintour, Vogue senior accessories editor Filipa Fino and CFDA Executive Director Steven Kolb, the winner will be announced in summer 2011. "As a leader in the jewellery industry, it is important to us that the next generation of talented jewellery designers are able to succeed in the face of the many business challenges they face. Partnering with the CFDA/Vogue Fashion Fund, this grant is intended to continue to develop jewellery as an important field of design." 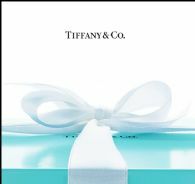 Commented Michael J. Kowalski, Tiffany & Co Chairman and Chief Executive Officer.